If the Azores were an album, São Miguel would be the hit single, the song everyone keeps humming. It is the most famous, largest and most accessible of the nine islands, the one on everybody’s lips - but its dimensions and offering may seem overwhelming. 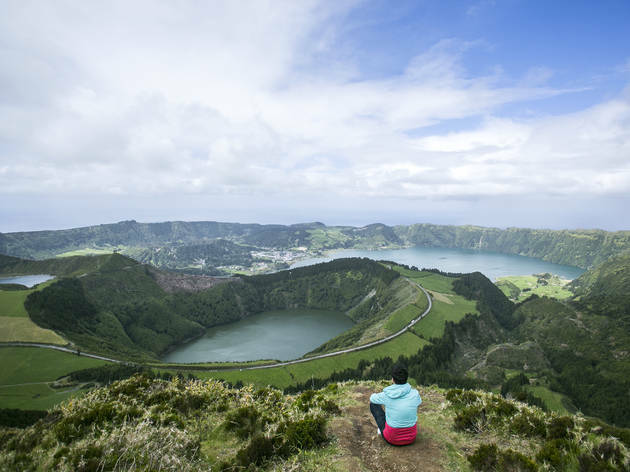 Don’t worry, we’ve done the hard work for you: here are the 10 best things to do in São Miguel. Walking around a new city’s market is a nice way to peek at its residents’ way of life. 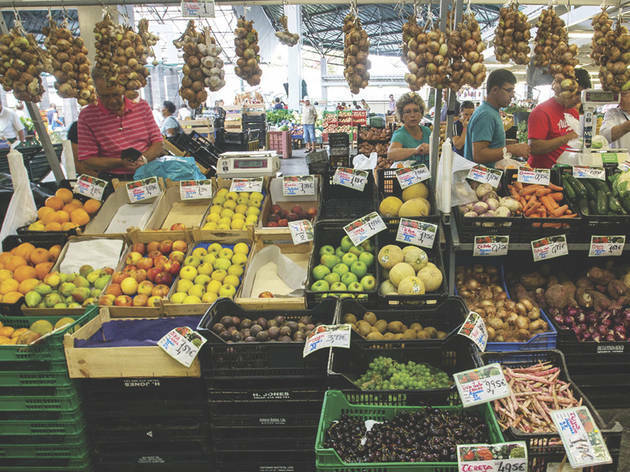 Graça Market, in Ponta Delgada, is a small and busy square full of pineapple stands, one of the island’s emblematic exports, but which also holds more exotic surprises for keen observers. Will you find them? This is São Miguel’s most beautiful store, and the one with the best name: Louvre, because when it was inaugurated by Duarte Cardoso in 1904, it sold fine hats and fabrics imported from France. 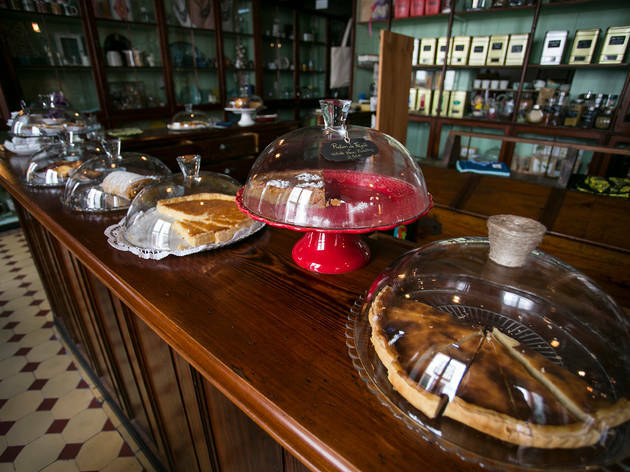 Now, the selection is mostly from the Azores, and above all very good: teas, preserves, jams and other delicious treats “made in Azores”, along with some of the store’s own branded goods: Avó Catita’s twine bicycle baskets are one of the house’s original products. Another of the Louvre’s appeals is “o Segredo” (the Secret), a chocolate cake that is to the shop what Mona Lisa is to the Parisian museum of the same name. And you might as well stock up on queijadas (Portuguese cheesecakes) from Vila Franca do Campo and admire the gorgeous calendars written in the local Micaelense Typography. 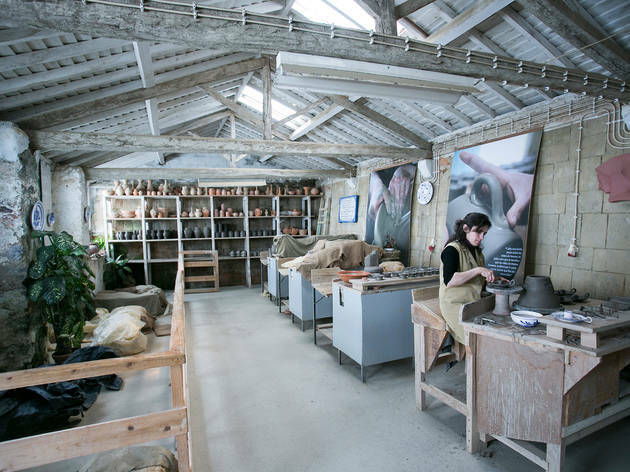 Even if your interest in china is somewhat limited and you don’t know the difference between a terrine and a tureen, you will enjoy the Cerâmica Vieira museum/factory/shop, a place where time has stopped and ceramics are made like in the old days. “They are all made by hand, and for this reason they are more rustic, with a few imperfections. This is what makes them special,” Teresa Vieira, the business’s fifth-generation owner and manager, tells us. 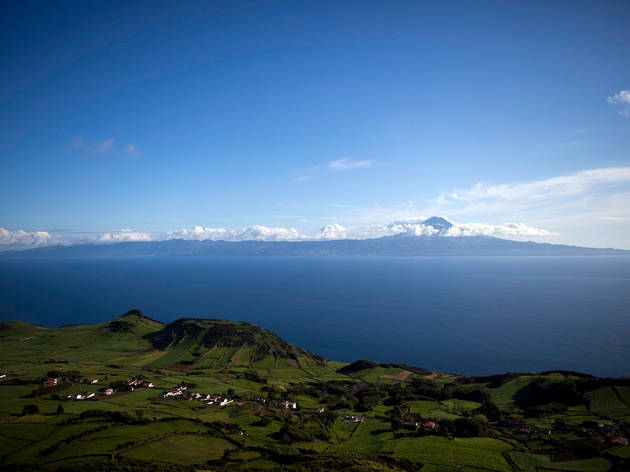 The story started in 1892 when Bernadino da Silva, a manufacturer from Gaia, landed on the island to open a glassware factory, using a mixture of clays from the neighbouring island of Santa Maria and from the continent. It is this clay that is still used to make and mould today’s ceramics. “We now have capacity to make 150 candle holders or 200 mugs a day,” says one of the employees working in the “Sala da Olaria” (pottery room), one of the many parts of Cerâmica Vieira where it is possible to observe the manufacturing process. Lagoa china, as it is also known, stands out for its blue-on-white patterns. The colour, a pink tint that only turns blue after going into the oven, is a combination of pigments made on site. How? “It’s a secret,” warns Teresa Vieira. By the way, a terrine and a tureen are the same thing. The streets of Carvalho Araújo, Pedro Homem and D’Água, in Ponta Delgada’s historical centre, are being remodelled and brought back to life. The “Projeto Quarteirão” (Block Project) features a series of spaces such as galleries, studios, bookshops, bars and a burger joint. 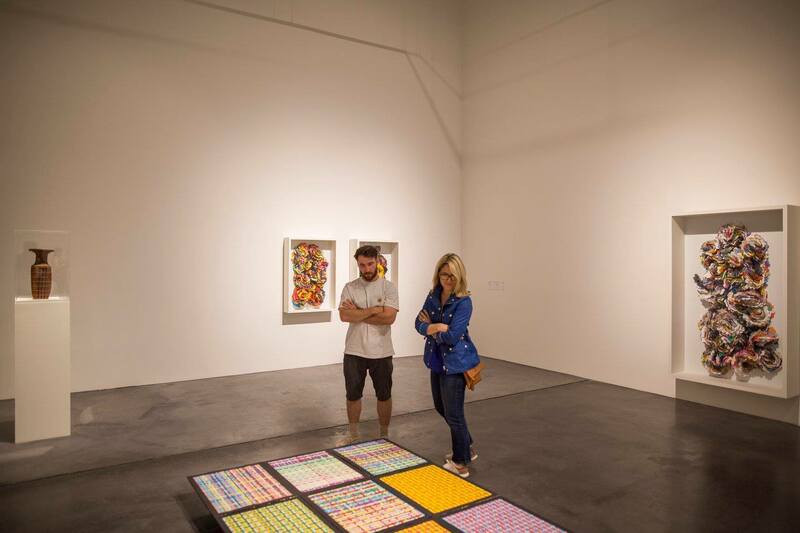 The goal is to lure creative industries to the city centre. 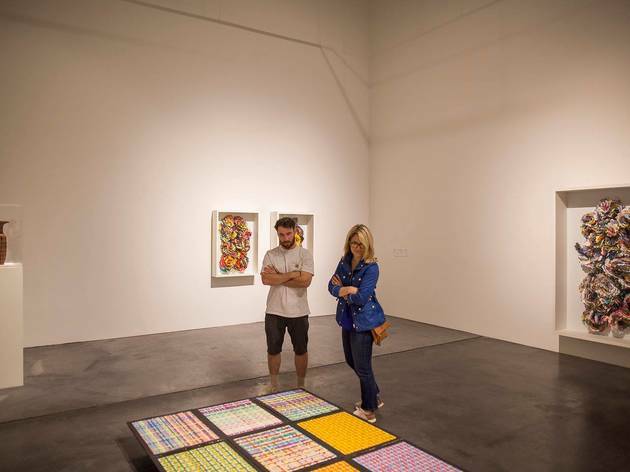 The Modern Arts Centre’s name is Arquipélago, and it sits in a former alcohol and tobacco factory. The agenda (exhibits, concerts, etc.) 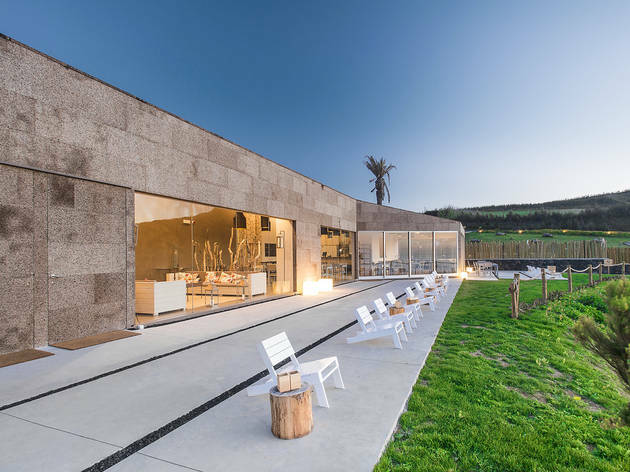 is worth a visit but the building itself is a point of interest: it is a project by architect firm Menos é Mais and was shortlisted for the Mies van der Rohe prize for best European architecture. It is, we dare say, the best cultural centre in Macaronésia. 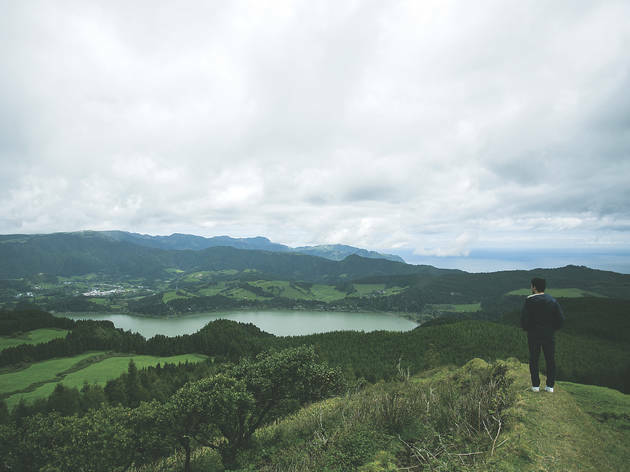 We were tempted to call it São Miguel’s prettiest viewpoint, but we didn’t want to rub anyone the wrong way: some people prefer Castelo Branco, others root for Ponta da Madrugada and there are, of course, many fans of Vista do Rei. 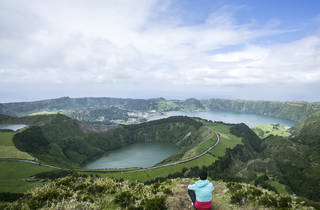 But the Boca do Inferno (Hell’s Mouth) viewpoint is special: located 1,000m above sea level, it boasts an incredible view on Lagoa das Sete Cidades (Lake of the Seven Cities), Lagoa do Canário (Canary Lake) and Lagoa Rasa (Shallow Lake). 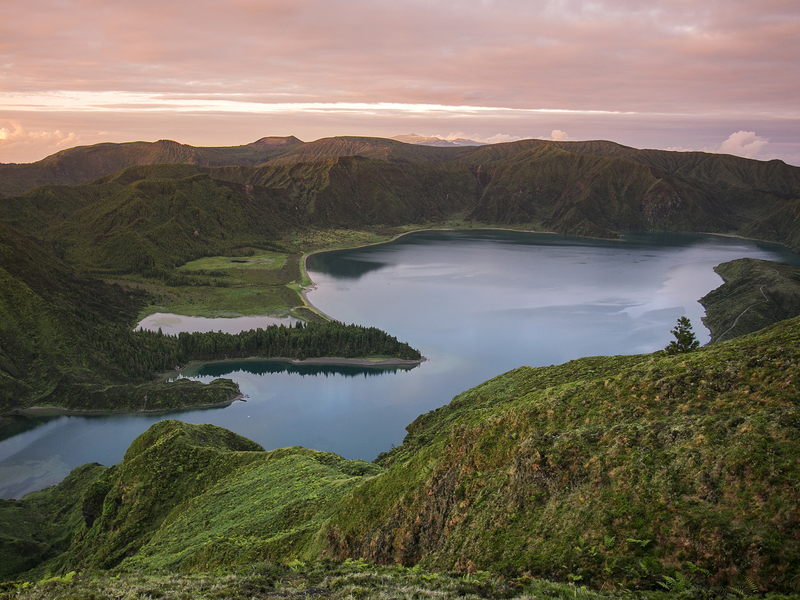 To get there, follow the signs to Lagoa do Canário, where you can park. Go through the gates (which close at 7pm) and follow the signs. The 15 to 20-minute hike will earn you a record number of likes on Instagram. 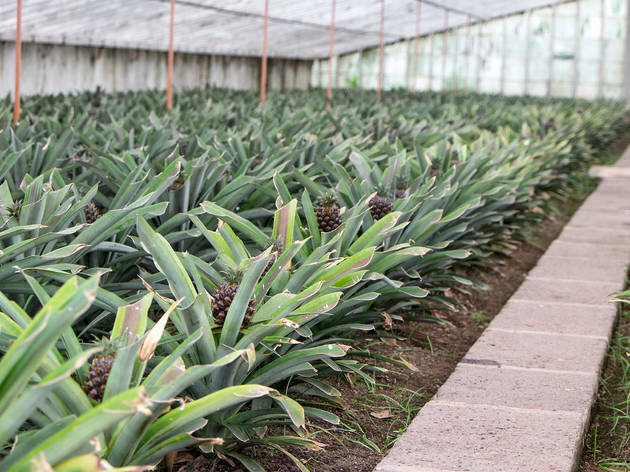 The Azores’ famous pineapples grow in glass greenhouses heated by the sun, where the temperature can reach 38ºC. This tricks the plants into thinking they are in Central or South America, where they originate, and into sprouting in a different hemisphere. In Fajã de Baixo you can find various of these greenhouses, but the Arruda Pineapple Plantation is one of the best-preserved. There, you can observe the “dens” in the “sprouting chamber” and the sprouts in the “germination trays”, learn what all these words mean, and even buy the famous crowned fruit. In the Arruda shop you will also find pineapple liqueur, chutney and even mustard. What you won’t find, so far, is piña colada. It has the best views of the west coast of the island (Ferraria, Mosteiros, etc.) and it used to serve as a watchpost for whale hunting - there’s even a replica of an old barrack from the now-defunct Capelas whale factory, now occupied by Futurismo, a whale observation centre. 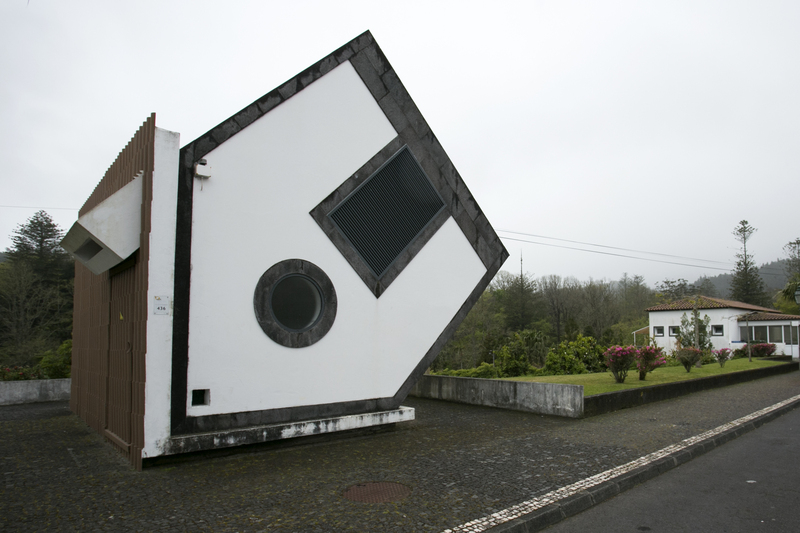 Casa Tombada is a must on alternative tours of Furnas: stop at power company Electricidade dos Açores’ processing station number 436 and take a picture next to the skewed house. In both senses: figuratively because this is one of the most gorgeous lakes in the whole archipelago. 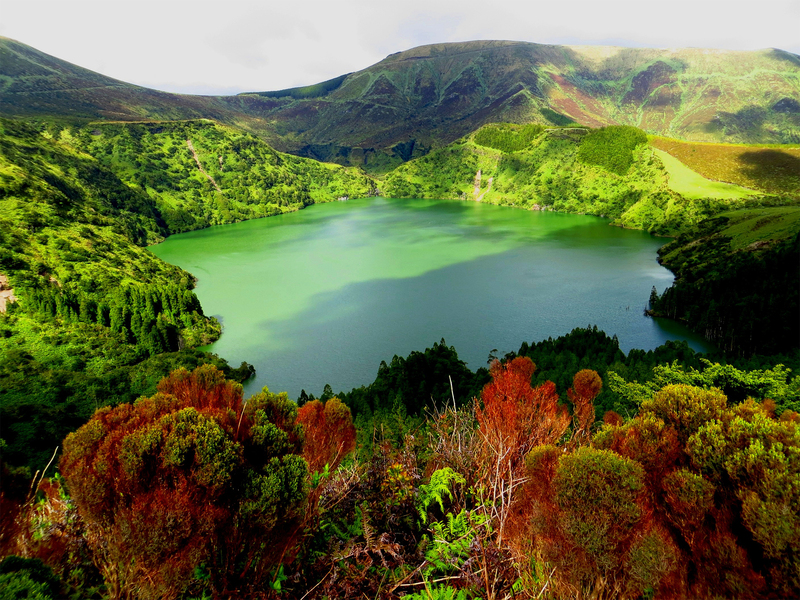 And literally because the spot with the best views of Lagoa do Fogo (Fire Lake) sits at an elevation of 850m, and is very popular with clouds. The obligatory pitstop is called Miradouro da Serra da Barros, on road EN5-2A, on the right side in the direction of Lagoa-Ribeira Grande, or on the left for those going the opposite way. 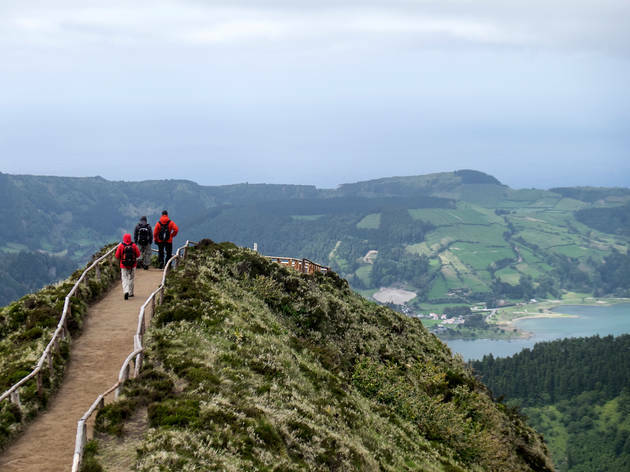 It is possible to go all the way to the antennas of the Pico da Barrosa for a different view - and with even more clouds, if it is one of those days. 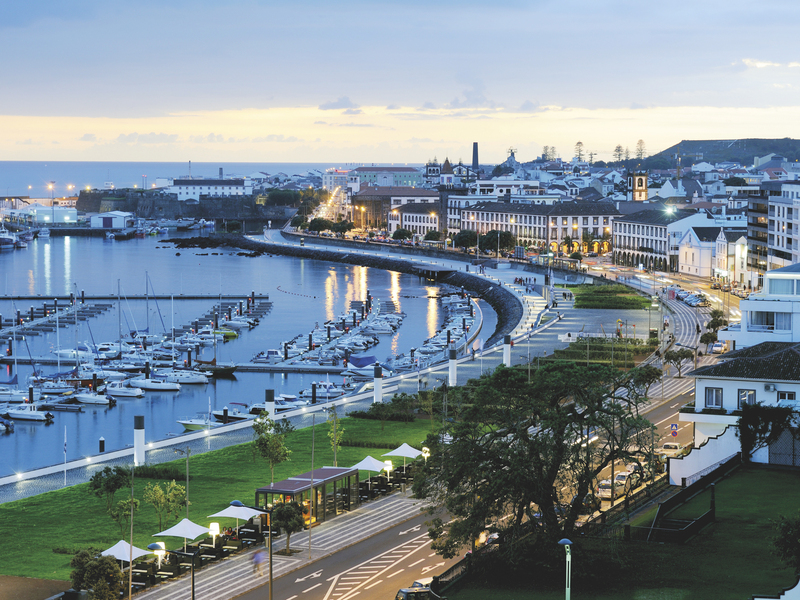 It’s the second most populated island in the Azores, but it is number one in terms of nightlife. 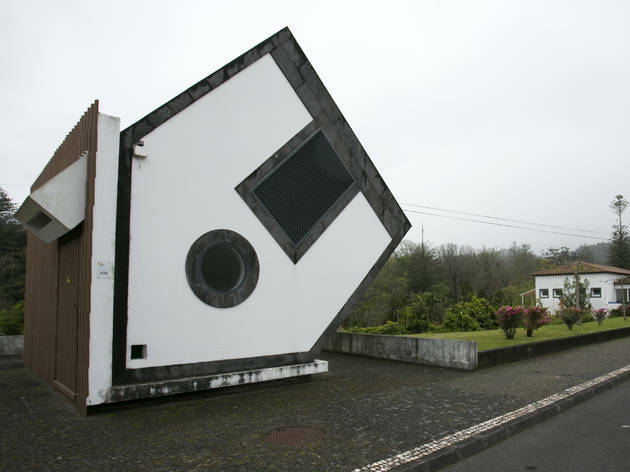 Terceira is a mandatory pitstop for whoever goes to the Atlantic in search of surprising landscapes - or of a place to organise the invasion of Iraq. Whatever your intentions, we’ve got you covered. Exactly how many islands in the world present so much beauty and diversity in such a small piece of land? 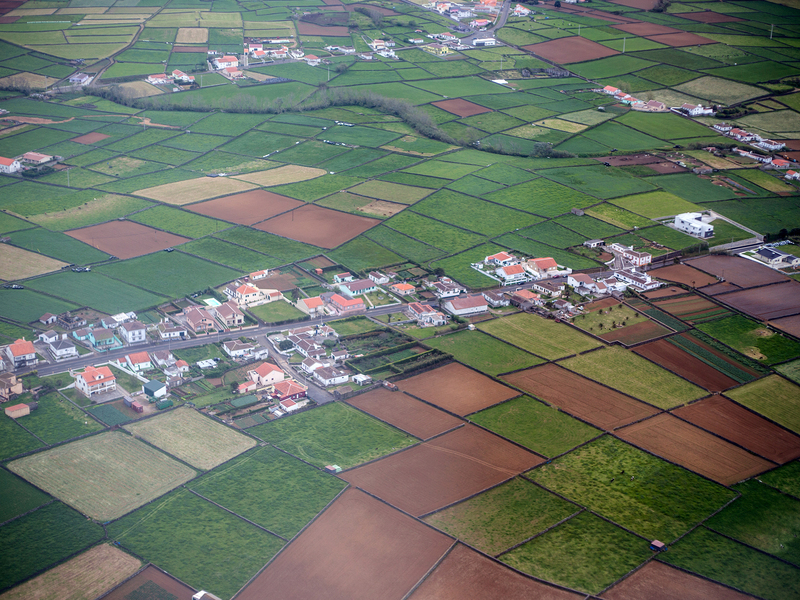 In the Azores - even in the Azores - there are no other. Forget photo filters: you won’t need them there. It’s the island of trails and extreme sports, of tinned tuna and island cheese (the real queijo da Ilha). But it’s also, and perhaps more importantly, a paradise of fajãs, these stretches of land formed by lava on the coasts of the Azores Islands. You don’t have a fear of height, we hope? There are nine islands and we have 21 suggestions. 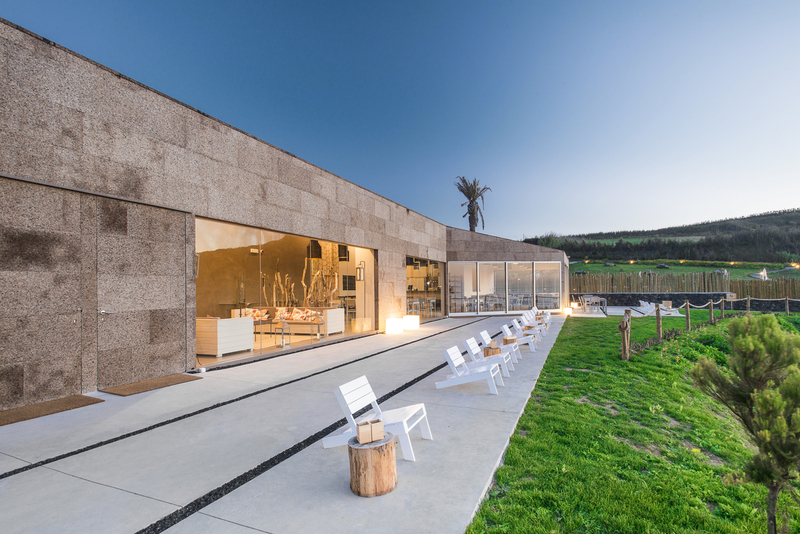 Sleeping in one of these hotels is in itself an Azores experience not to be missed. Have you already decided where you’re going to sleep after all this walking and swimming? Let yourself get carried away by the views and the tracks, but when you are hungry, do not be fooled. 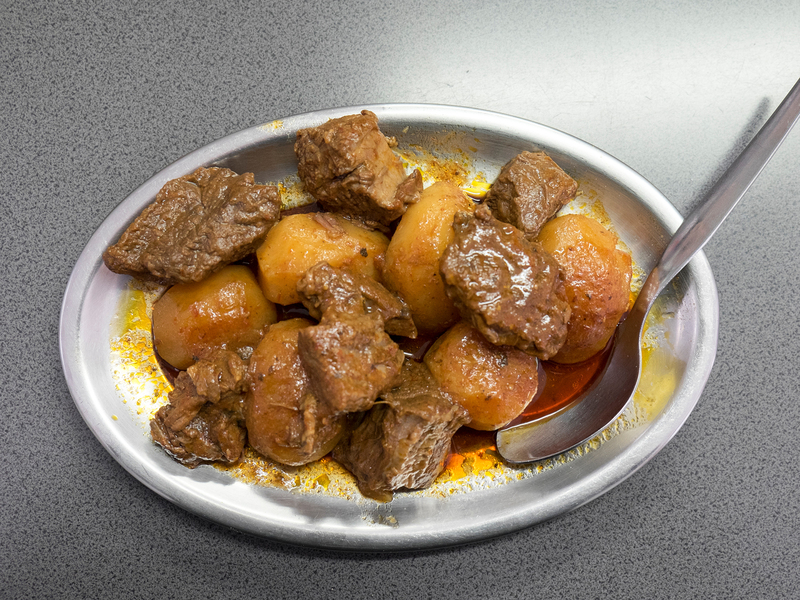 Trust us and try some of these, we promise they are the absolute best restaurants in the Azores.